Weddings are happy occasions for not only the bride and groom but also their families and friends. All eyes are on the bride and groom on the day of the wedding. 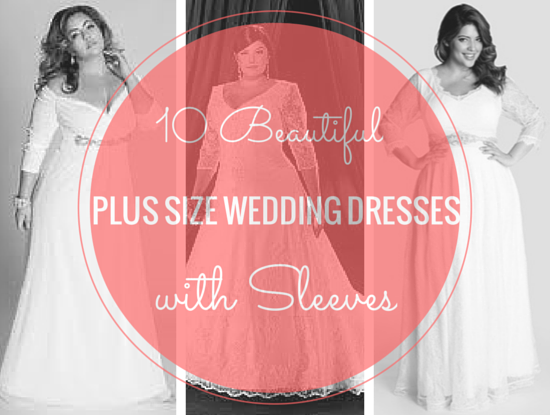 For the mothers of the couple, choosing a dress is an important decision. If you are the groom’s mother, you of course want to look beautiful for this celebration as well as your son. While many gowns say they are for the bride’s mother, they are appropriate for the groom’s mother as well. Mother of the groom dresses is available in several attractive colors and styles to flatter any woman and match any wedding shades. Bridal shops such as David’s Bridal carry a selection of gowns. Several online shops that include DresSale and Belk have lovey selections of gowns and offer the opportunity to shop from home. Here are mother of the groom dresses in 10 attractive styles. This elegant Dana Kay Three Piece Skirt Set features a sheer jacket with three-quarter sleeves and pleated satin trim. The lovely stone gown has a pleated satin shell with a jewel neckline. The fully lined tiered skirt is made of soft chiffon with a back zipper and button closure. The hem falls just below the knee making the dress ideal for any semi formal or formal wedding. This flattering gown is available on the Belk web site. This Classic Two Piece Dress features a flowing skirt with pleating on one side and a square neckline. The chic floor length dress is made of chiffon and has an empire waist to flatter any figure. The stamp jacket is embellished with beading to match the bodice. The mini satin jacket has three-quarter sleeves. The DresSale web site has this backless dress available in a variety of colors that include pearl pink and champagne. Any groom would be proud of his mother dressed in this breathtaking Lace Jacket Dress in mocha. The stylish knee length dress is made of chiffon and features a sleeveless bodice, an empire waist, a lace jacket. The elegant jacket has three-quarter sleeves. A ruched sash adorns the waist and the bodice has lace details. 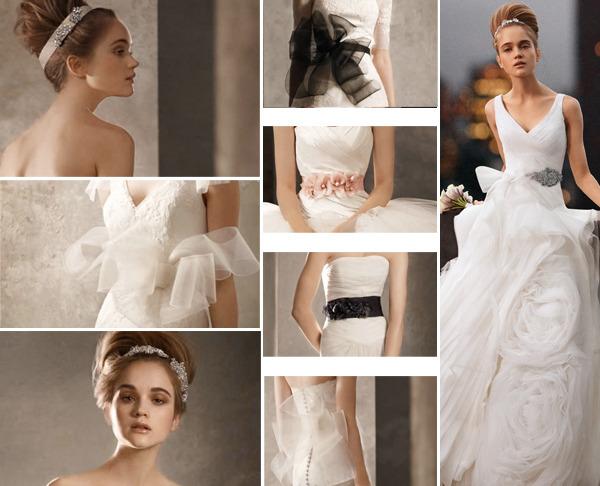 The fashionable dress is available exclusively at the David’s Bridal web site. The lovely RM Richards Lace Jacket Dress features a lace bolero jacket with sequins. The stylish A-line dress has a sequined bodice that matches the jacket. A satin inset adorns the empire waist that flatters any mother. The knee length dress is available in wine or mocha at the Belk web site. This New Style Dress features a pleated empire waist and tiered skirt. The luxurious dress is made of satin, chiffon, and taffeta. The tea length dress has short sleeves with beading on the skirt and bodice that provides a look of elegance. It is available in a variety of colors including shades of blue, green, and pink. You can find this stylish dress on the DresSale web site. This Short Sleeveless Dress features a tiered skirt in soft chiffon. The sleeveless bodice is embellished with beading that sparkles. The caplet covers the dress and falls in line with the asymmetrical tiers of the skirt. This fully lined dress falls just to the knees. 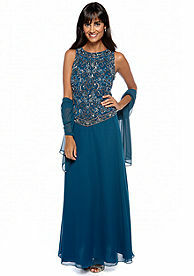 The David’s Bridal web site has the teal dress available for mothers. This Long Jacquard Jacket Dress features a sleeveless bodice with a long skirt. The unique jacquard knit detailing of the jacket and bodice compliments the flowing skirt of the dress. 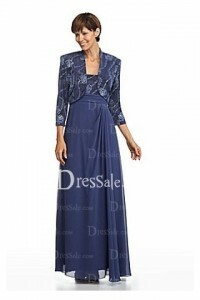 Any mother will look lovely in the gown that is ideal for a formal ceremony. This dress is available in some David’s Bridal shops as well as on the web site in colors that include navy and stone. This graceful Long A-line Dress features a V-back design, scoop neckline, and floor length skirt. The natural waistline is embellished with sparkling beading and pleats. Sheer short sleeves are trimmed in beading. The stunning dress is available on the DresSale web site in colors that include black and ivory. This gorgeous SL Fashions Dress features a metallic crocheted lace jacket with long sleeves. The sleeveless dress is stunning in the metallic material and has a dropped waist. The short skirt features a sheer overlay and shark bite hem. The dress is available on the Belk web site in a sand color that will match any wedding colors. The glamorous JKARA Sleeveless Gown in teal features an allover beaded top with a full floor length skirt made of chiffon. The mock two-piece gown has a jewel neckline and concealed back zipper. The dress comes with a matching sheer scarf. Any mother will look stunning in a lovely gown that is available on the Belk web site.